A man has been arrested in connection with the alleged murder of Milngavie man Cameron Logan (23), who died in a deliberate fire on January 1. The man is also being held in connection with the alleged attempted murder of the dead man’s girlfriend, Bex Williams (24), who was badly injured in the blaze, and his parents. both 54, who were treated for smoke inhalation. It is understood Mr Logan’s brother is currently in custody. Ms Williams is said to be in a stable condition. 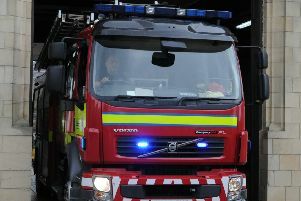 Emergency services were called to the fire at Milngavie’s Achray Place at 7.25am on January 1. A major police investigation followed, and yesterday (Friday, January 13) detectives announced they were following a definite line of inquiry. A 26-year-old man is expected to appear at Glasgow Sheriff Court on Monday.